Small, sweet and the key to fantastic adventures: the Innsbruck Card offers many free services and attractive discounts for a truly fascinating alpine-urban experience in Innsbruck and its holiday villages. City flair, country air and peak enjoyment with just one ticket: for unique contrasts, remarkable attractions, historic treasures, impressive panoramic moments and nature in the heart of Tyrol. 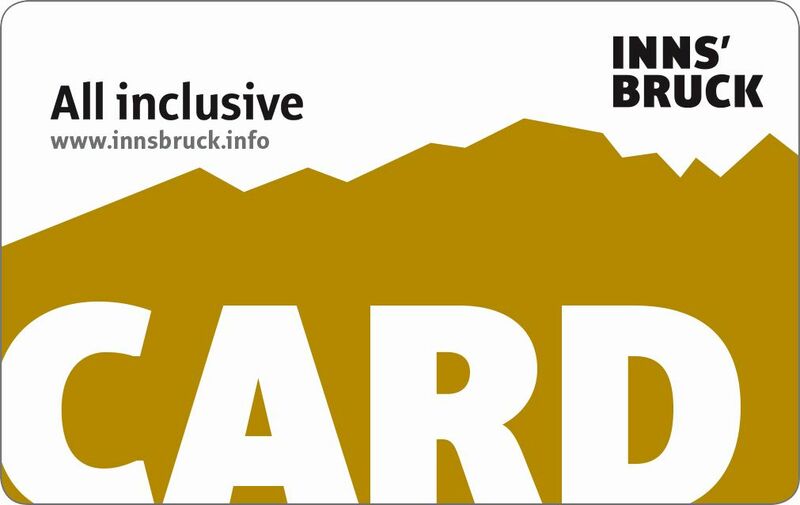 As individual as your holiday wishes: the Innsbruck Card is available for 24, 48 or 72 hours. Children aged 6 to 15 years enjoy a 50% discount. To help you get the most out of your Innsbruck Card, we’ve put together a selection of suggestions for city explorers, nature lovers and culture enthusiasts. Numerous museums, the main attractions, lifts and cable cars up to the majestic Nordkette mountain range and other alpine hotspots, the use of public transport on all IVB routes, travel on Innsbruck’s hop-on hop-off sightseeing bus and travel on the numerous lifts and cable cars around Innsbruck – all free of charge with the Innsbruck Card. Fantastic discoveries for a great price – with the Innsbruck Card – your smart companion in the Capital of the Alps. The Innsbruck Card is valid from the time when it is first used. It is valid for the precise time stated, so exactly 24, 48 or 72 hours after the first use. This applies in every case, regardless of the time that the first use occurs. The Innsbruck Card includes 1 uphill and 1 downhill ride on the Glungezerbahn, the entrance to the Mint Museum in Hall and the Swarvoski Crystal Worlds in Wattens (Shuttle bus) too.